The opioid crisis has hit the United States hard, and California is no exception. 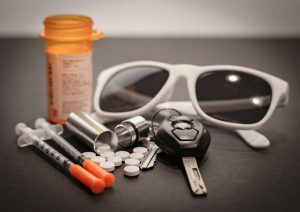 In addition to the devastating consequences that are associated with addiction and overdosing, opioids have negative impact on fatal two-car vehicle accidents as well. A recent study published in the JAMA Network Open found that in fatal two-car crashes, drivers who were responsible for the accident were twice as likely as those not at fault to test positive for opioid use. The most common error leading to fatal vehicle accidents, whether or not an opioid was involved, was a driver veering outside of their lanes. Unfortunately this shows that the national opioid epidemic has far reaching consequences into vehicle accidents and that you may need to ask questions if you have already been hurt in a catastrophic accident about whether or not the person who caused it could have been under the influence of opioids at the time. It’s not always easy to demonstrate that the other driver was under the influence; the first step in building a case is working with an experienced and knowledgeable attorney. These cases can be resolved sometimes in mediation or settlement, but a lawyer should also be ready to go to court. If you have questions about how to protect yourself following an accident, schedule a consultation with a San Francisco personal injury lawyer.